Note: The readings this week are from Lamentations, with the alternative choices of Psalms 137, the subject of this post, or 37. See an earlier post for Psalm 37. On the willows there we hung up our harps. For our captors asked us for songs and our tormentors called for mirth: “Sing us one of the songs of Zion!” How shall we sing a song of God in a strange land? 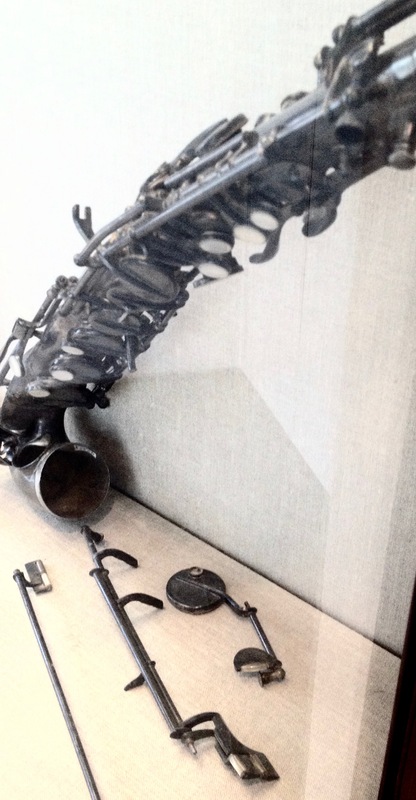 An instrument broken by conflict. Found in Berlin after WWII. And when the moonlight creeps across the rooftops of this great city, wondrous though it be / I scarcely feel its wonder or its laughter; I’m once again back home in Innisfree. In Babylon, it seems the Israelites could not muster the inspiration. Was it just to deny the captors? It may have sprung from an anger so strong as to banish all thought of song, generating vicious thoughts against the captors and their children. (v. 9) We may wish to dismiss this sting in the tail as classic outdated Old Testament vengeance; however it does give us a glimpse of what anger can do and how hard it is to manage. Deal with it we must if society is to avoid such dominoes of damage.